DRINY CAVE This breathtaking trip covers a 450-metre long cave hidden in the Smolenice karst with the spectacular decor of stalactites. Its underground spaces decorate flowstone fill combined with pagoda stalagmites, serrated curtains “elephant ears”, or little lakes and waterfalls. You might even see some sleeping bats. The healthy air in the cave is great for your mind, body and spirit. SMOLENICE CASTLE Only a couple of minutes from the cave, in the foothills of the Small Carpathians, you can enjoy the beautiful scenery of the romantic castle Smolenice. 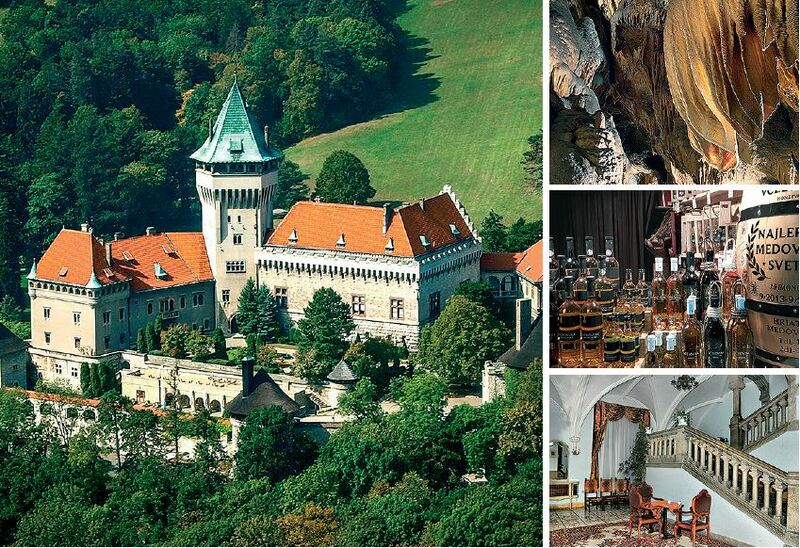 Steep roofs, mighty towers, a fortified courtyard with a chapel and bastions, the large castle park and wild forests around create the special magic of this fairytale castle. MEAD TASTING After the walk you can fortify yourself with sweet mead called Medovina, which is considered a typical Slavic beverage, used in everyday life but also at a variety of ceremonies. It is made by purely natural techniques connecting tradition, honey, water and the workmanship of the beekeepers.